Pin video allows you to disable active speaker view and only view a specific speaker. 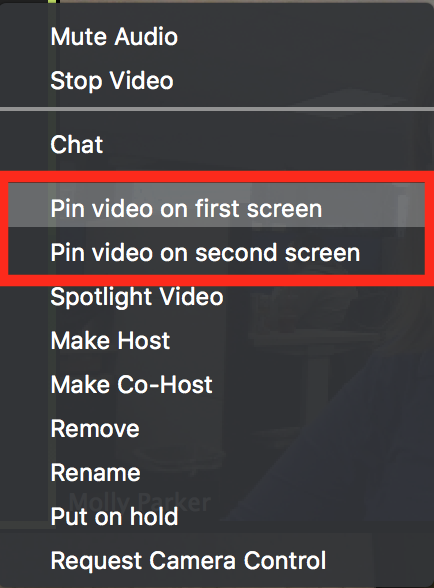 It will also only record the pinned video if you are recording locally (to your computer). Pinning another participant's video will only affect your local view and local recordings, not the view of other participants and will not affect cloud recordings. 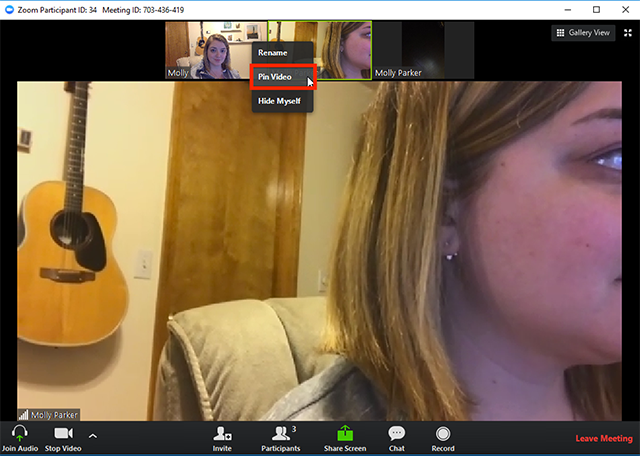 This article covers pinning videos on the Zoom Desktop Client. 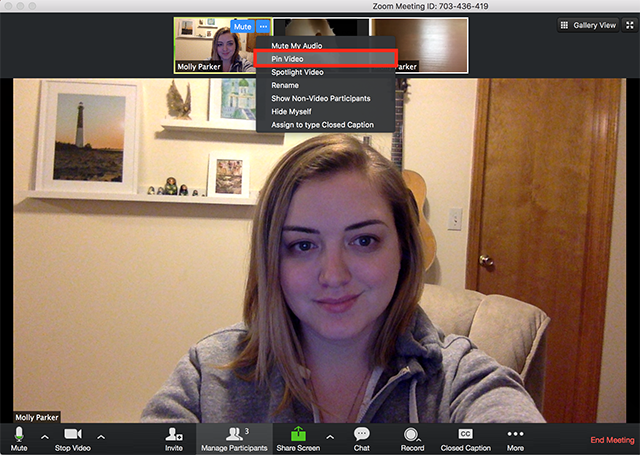 Learn how to pin in Zoom Rooms. Alternatively, you can spotlight a video. Spotlight video puts a participant as the primary active speaker for all participants. All participants will only see this speaker as the active speaker. This feature is often used to spotlight a keynote speaker. 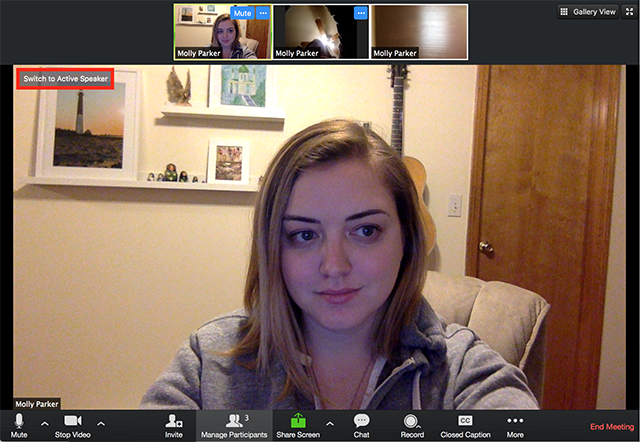 Learn more about spotlighting a video. From the menu, choose Pin Video. 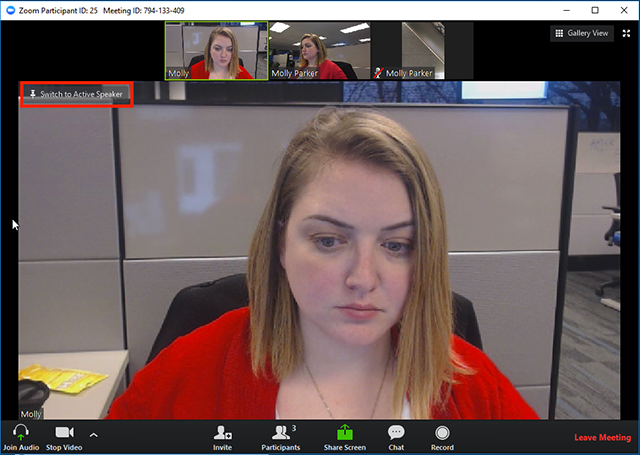 Optional: If you have at least 3 participants in the meeting and dual monitor enabled, you will have the option to choose if you want to pin to your first screen or your second screen. Click Switch to Active Speaker in the upper left corner. This will return the meeting to Active Speaker. Right click on the video of participant who you want to pin.